On Friday, July 23, I’ll be hosting and participating in a night of humour at the Leacock Summer Festival in Orillia, Ontario. Joining me will be 2010 Leacock shortlisted author Kathryn Borel Jr. reading from her hilarious travelogue Corked, and 2003 Leacock winner Dan Needles who will undoubtedly have us all in hysterics whatever he decides to read. Having already read from The Best Laid Plans at the 2008 Leacock Summer Festival, I may read from The High Road instead. There is a great list of Canadian authors lined up to read at the festival so do check it out if you have the weekend free. 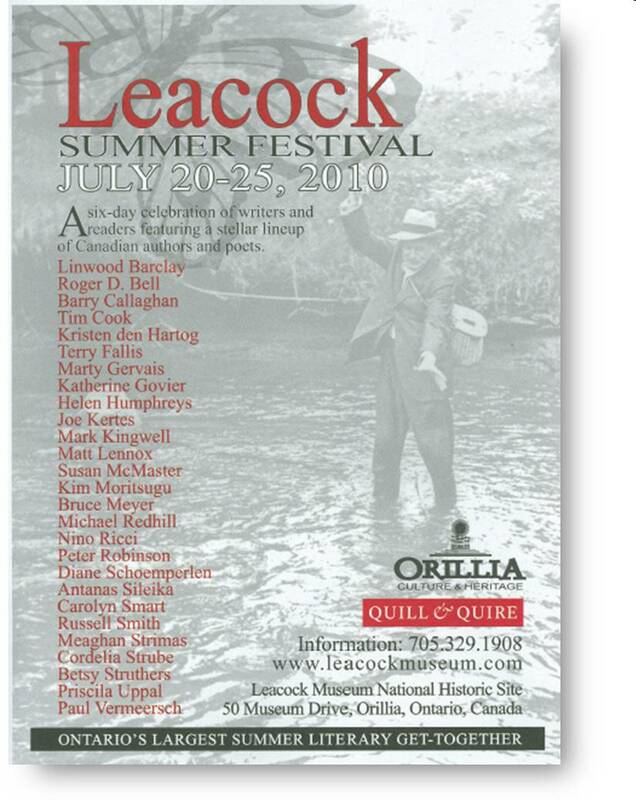 I always look forward to returning to Orillia, the home of Stephen Leacock.